"Every lyric on the project is vertically directed, marked from a deep desire to express thanks and know God better. 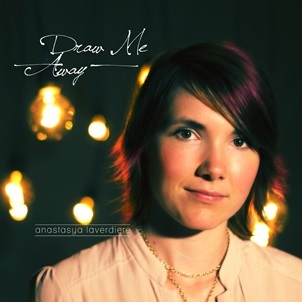 Title track "Draw Me Away" immediately displays her heart, expressing a deep yearning to be brought into the presence of God,"
This worship album started with one song and one pursuit, to draw closer to God. Amidst the busyness of life and its distractions, and compelled by the writer of Song of Songs (1:4), I sat down at the piano and endeavored to get away with God and refocus on Him. Out of that emerged Draw Me Away.